"Can the SDGs deliver global development? 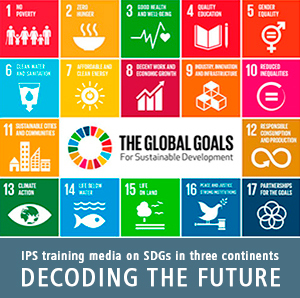 Can the media report on the SDGs in an engaging way? And why should we?" The main goal of this workshop is to equip journalists in different regions with the information and tools required to understand and file substantive reports related to the SDGs, its processes, substance, thematic trusts, targets and indicators of the 2030 Agenda. 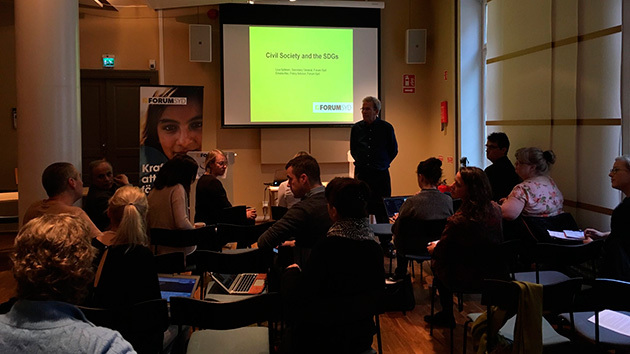 Trainers/IPS Sweden/Forum Syd/Postkodlotteriet representatives: Why are we doing this workshop? What are the SDGs? Why have SDGs? What is new? Speaker: Joachim Beijmo, Former Head of Communication and part of the senior management Swedish International Development Cooperation Agency. Session 2: The process of implementing the 2030 Agenda – can the goals be reached? Session 3. Reporting on SDGs - A new dawn for a new Africa? Session 5. Water - next global crisis? Session 8. Climate change and SDGs. Speaker: Gregor Vulturius, Climate Change Adaptation Expert, Stockholm Environment Institute, SEI. Session 9. A hard sell, a wish list, a trove of smart story ideas? Climate change and SDGs. 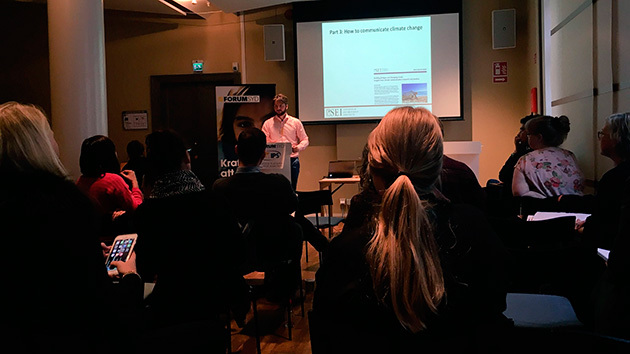 Speaker: Gregor Vulturius, Climate Change Adaptation Expert, Stockholm Environment Institute, SEI.